AllergyEats Mobile (iPhone, Android; Free) – This app is an extension of the AllergyEats website, which offers peer reviews for restaurants based on how allergy-friendly they are. 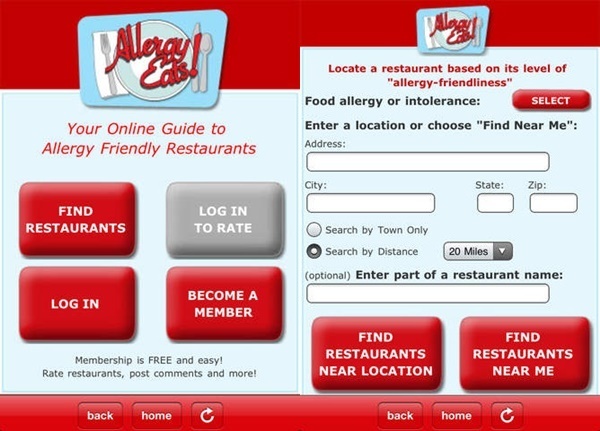 It allows you to search for allergy-friendly restaurants “on the fly”, call restaurants of interest with a simple touch, get directions to your chosen restaurant, take valuable restaurant information (like allergen lists and nutrition data) right to your table, and post your own restaurants ratings as you eat! YoDish (DISCONTINUED IN 2016) – This restaurant review app focuses not only on finding restaurants but also on rating the menu items. Food allergic, gluten-free, paleo and vegan diners are encouraged to share their successes and failures so everyone can tour the app and explore what’s good to order. 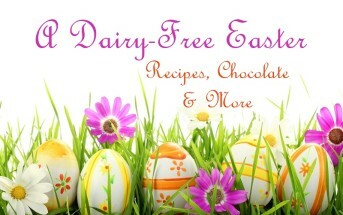 They report that the dairy-free community is very active on YoDish, with nearly 50% of their users avoiding dairy. 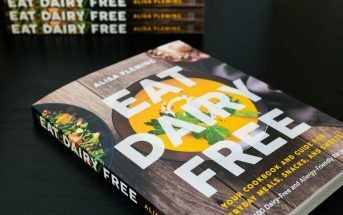 As a special feature, Sarah Norris of Gluten-Free & Dairy-Free at WDW contributes regularly with more than 250 reviews of gluten and dairy free dishes at Walt Disney World in Orlando, Florida. 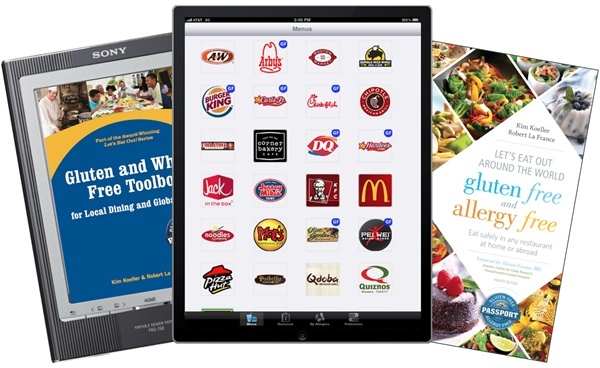 Gluten Free Allergy Free Passport (iPhone, Android; Free to $4.99) – Kim Koehler is app happy with 7 apps for dining out gluten-free and/or with food allergies. She offers menu helpers, translation cards, and more. 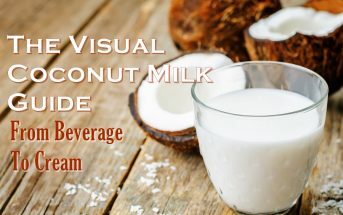 Happy Cow on the Go (iPhone, Android; $2.99) – Happy Cow is my favorite vegan restaurant search – it is updated often and includes mountains of options. To supplement this great website, they’ve created this fabulous app. It’s pretty much an easy, searchable, scaled down version of their website. 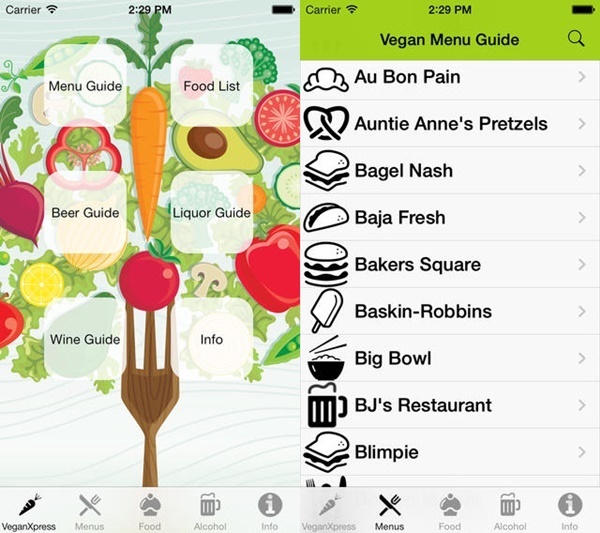 Vegan Xpress (iPhone; $1.99) – This app is a gem for dining out at mainstream restaurants. 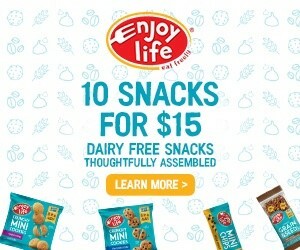 They have created a comprehensive list of vegan options available at a wide variety of popular, chain, fast food eateries, and even cover grocery store options for on-the-go needs. 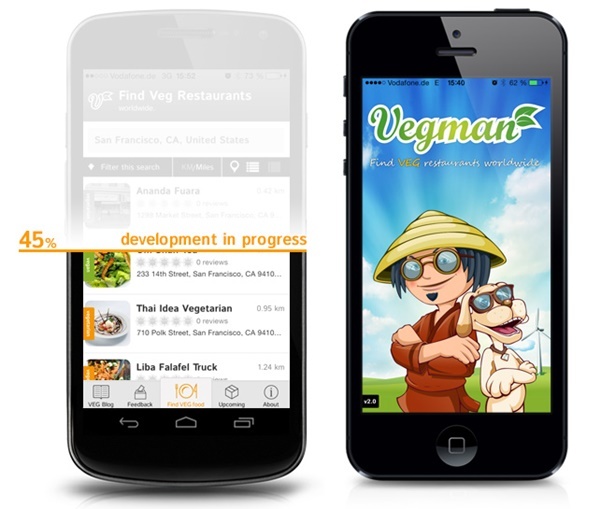 Vegman (iPhone, Android in the works; Free) Also known as the Worldwide Vegetarian and Vegan Restaurant Guide. This vegan app operates much like Happy Cow, but with one advantage, it’s free, and one disadvantage, it’s list of restaurants isn’t quite as expansive. 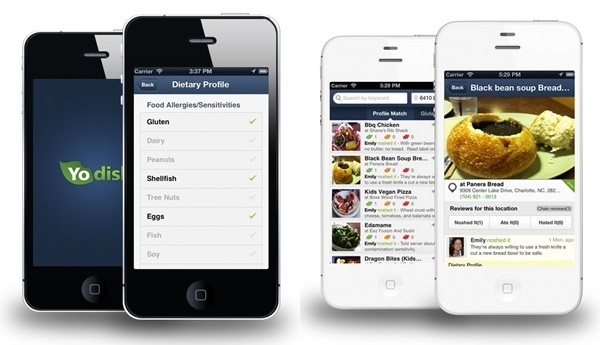 If you have more top restaurant apps for food allergies, dairy-free, gluten-free, paleo and/or vegan diets to share, post a comment! Wonder why you didn’t include this one? I saw a demo at the FARE conference and it seems like a good one to me. That is a great one Jacqueline! But it isn’t a restaurant app, it’s for grocery stores. 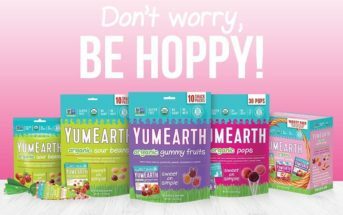 I’ve actually trialed that app out – it’s in its infancy (needs more natural food products in it! 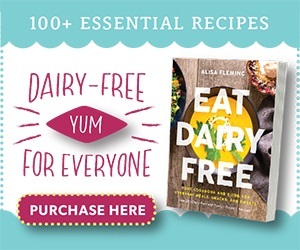 ), but I still recommend it in the fall issue of Allergic Living magazine.